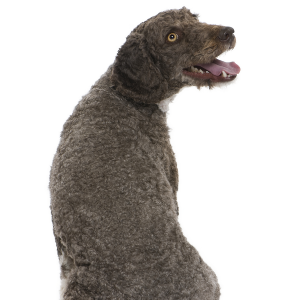 They possess strong protective instincts and make good guard dogs. They may be wary around strangers. They should not be left unsupervised with children. Their innate herding instinct means that they have a tendency to try and "herd" small children and pets. 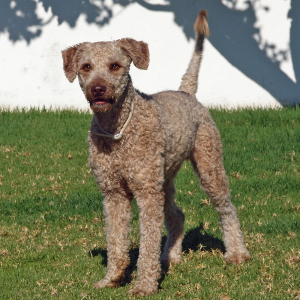 Of all the competing theories about where these athletic dogs came from, one of the most popular is they were introduced by the Turks, who used them as sheepdogs. 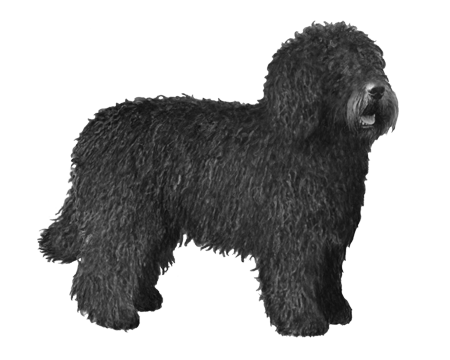 Their direct ancestors are thought to be a breed of woolly-coated water dogs that have been documented as existing on the Iberian Peninsula in 1110 AD. 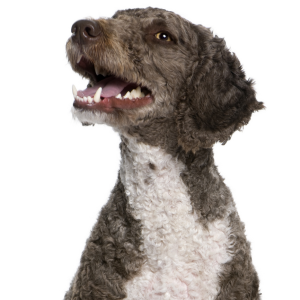 Over the centuries, the Spanish Water Dog has been used to help fisherman retrieve nets and help farmers hunt and guard their livestock. 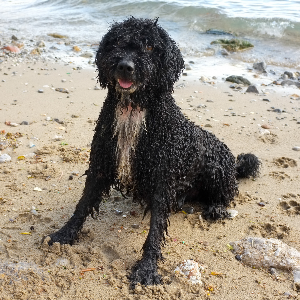 More recently, the Spanish Government have used them as search and rescue dogs – and for bomb and drug detection. Friendly and very loving, these dogs provide plenty of security in other ways too.